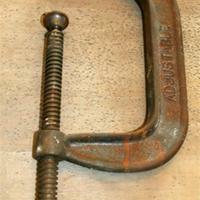 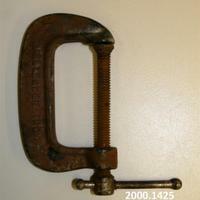 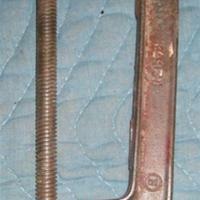 Small C clamp with a lot of rust on it. 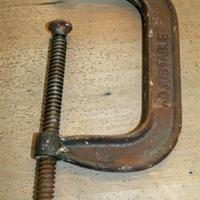 Has "Malleable Iron" on one side and "Unbreakable Made in USA" on the other. 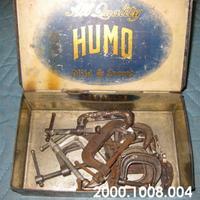 Box of small C clamps or various sizes.